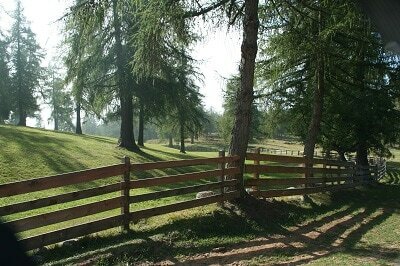 Paddock fences can make your pastures look beautiful and add value and aesthetic quality to your property. Our horses are precious, whether they are children’s ponies or competition horses, it doesn’t matter – we love them all. And let’s face it, we tend to spoil them and spend a fortune on their welfare. 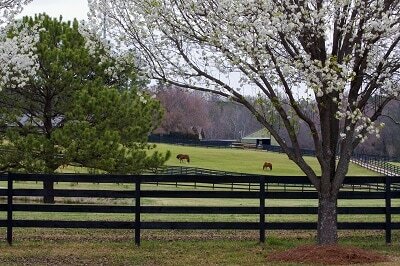 So what’s more important than keeping your equines safe and sound? Outside your boundaries lurk many dangers and some horses are pretty cute at finding a way out. They’re sociable and curious creatures but never forget that they’re flight animals too. So whether they’re trying to visit a mate or running from danger, your fences must be up the job of keeping your horses safely contained. There’s no more pleasing sight than to watch our equine friends happily grazing in a sunny field, but we want them to stay there. Outside can be found dangers like busy roads, railway lines and scary monsters that loom large in the eyes of the average pony. Fencing Horsham can supply and erect equestrian fencing of all types. Post and rail fences are perfect for most paddocks, but you may require higher fences or strong stud fences, depending on how you use your land. If your budget won’t stretch to wooden fencing, then we can talk about a suitable wire fence that will fit the purpose. Maybe you’re a smallholder with livestock like sheep, that will require stock fencing – either stand-alone or to be added to your post-and-rail fence. Or perhaps you have a pond that looks beautiful but needs fencing to keep young children safe. If you keep deer, you’ll need tall deer-proof stock fences of course, and there may be some situations where perhaps you just want basic wire fencing in front of a hedge to stop your animals pushing through it. There are so many options so it’s important to find the right solution for you. That’s why we’ll come to discuss your requirements and design options that meet all the needs of you and your animals. You may have an acre or two for the odd pony or donkey, or perhaps you have a stud farm or an equestrian centre. In every case we can provide quality paddock and equestrian fencing to enhance your property, without leaving you penniless! Whatever paddock fences you choose, you’ll also need sturdy gates, which we can supply and fit. Wooden five-bar gates always look nice, but you may prefer cheaper metal gates and perhaps you’ll need a hunting gate or a stile to accommodate walkers if a footpath runs through your property. And when you need new or replacement fences and gates for your manege or arena, you know you can count on Fencing Horsham to do a great job. Just let us know your requirements and we’ll give you a free no-obligation quote. We’re Horsham’s premier quality fencing company.